If you’re planning a holiday this summer, you’ll no doubt be counting the hours and minutes until the big day. Whether you’re jetting off abroad, or planning a good old fashioned ‘stay-cation’, it’s important to start your beauty preparation a few weeks beforehand to make sure you’re ready to bare all on the beach. Follow our guide and we’ll have you looking prepped and preened from top to toe in no time! 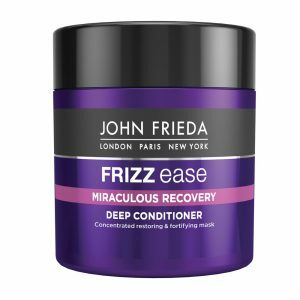 Give your tresses some VIP treatment and you’ll be thankful you did because the sun will do its best to leave your hair dry and frazzled. 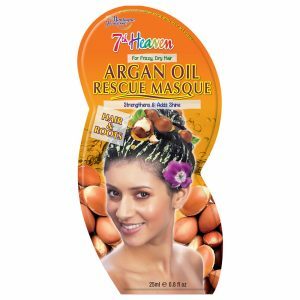 Book yourself in for a hair appointment two weeks before you go to get rid of any split ends and then apply a conditioning treatment like this Montagne Jeunesse 7th Heaven Argan Oil Rescue Hair Masque or Frizz Ease miraculous recovery mask. Give your make-up bag an overhaul, throw out any items past their sell-by date and invest in some gorgeous summery shades. Think fresh faced and neutral and pick a foundation that isn’t too heavy to avoid it running down your face if you get a bit hot and sweaty! This Nivea Visage Tinted Moisturising Day Cream Natural 50ml is perfect as it offers a light coverage, contains SPF 15 and is enriched with light-reflecting pigments to help you stay looking radiant. Choose a moisturising lipstick to help with hydration. 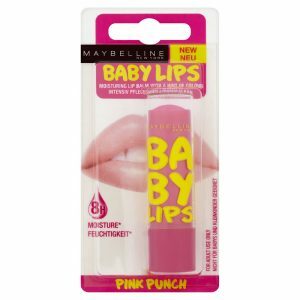 This Maybelline Baby Lips Lip Balm Pink Punch is a moisturising lip balm and comes with a hint of colour – great for day time wear. If you’re planning on going for a dip in the sea while you’re away it’s best to take waterproof mascara to avoid those panda eyes. Make sure you start preparing as early as possible ready for baring all on the beach. It’s good to get into a routine of regularly exfoliating after a bath or shower. 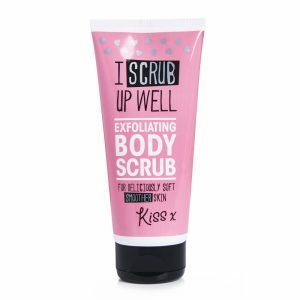 We recommend Wilko Kiss Exfoliating Body Scrub 200ml. Not only will the exfoliating scrub leave your skin feeling silky smooth but it’ll also provide a good base for applying your fake tan nearer the time. And talking of fake tan, to avoid any last minute disasters, experiment with a few brands and shades first to make sure you’re happy with the finished result. You don’t want any embarrassing orange legs or streaky arms! Continue to look after your skin while you’re away with a good sun cream and aftersun. If you need help picking the right SPF have a look at our ‘choosing the right sun protection’ blog. Show your hands some love too with a gorgeous pop of nail colour to match the glowing sunshine you’re bound to be basking in. We love all of the new Rimmel Rita Ora shades at the moment and can’t choose between them! And remember to tackle the dreaded hair removal. It’s a good idea to do this a few days before you jet off to allow the redness to calm down. There are lots of good hair removal products available and you should choose the one which works for you. If you have a generous budget then laser hair removal is the easiest option but you can also remove hair using a good quality manual razor or electric shaver, hair removal cream or wax strips. Whatever you go for, always apply a good moisturiser to prevent dryness. Finally, give your feet some focus by removing any hard skin with a foot file and finish with a bright coating of nail polish. Now with your beauty regime sorted, all that’s left to do is sit back, relax and enjoy your holiday!